Let us understand the irrational place where the choice and use of veterinary drugs! The veterinary drug is not ordinary goods that are "cheap is not good, good goods are not cheap". As long as they are used properly, a few cents of drugs may also achieve the efficacy of drugs to the disease. In fact, each antibiotic has its own characteristics, and its strengths and weaknesses are different. New antibiotics are often born because old antibiotics are resistant, and old antibiotics should be used if old antibiotics are effective. Therefore, when using antibiotics, it is necessary to strictly follow the course of treatment and dosage. Do not increase the dose at will. It is generally advocated to use antibiotics in combination, and it is better to use different antibacterial spectrums for therapeutic purposes. However, the combination of drugs requires a certain amount of pharmacological knowledge, if you regardless of the contraindications of antibiotics, and combined with drugs can increase some unreasonable drug use factors, which can not only improve the efficacy, it will reduce the efficacy, easy to produce some side effects or bacteria resistant to drugs medicinal. In order to avoid the occurrence of drug resistance and side effects, two problems can be solved with one antibiotic. When the condition is severe, the animals can be taken on time and in volume, and once the condition is relieved, the drug is stopped. It is important to know that the efficacy of antibacterial drugs depends on the effective blood concentration. If the effective blood concentration is not reached, it not only can the bacteria be completely killed, but the bacteria will become resistant. Even if it works, you should use the necessary cycles. If you have a little effect, you can stop taking the medicine. Not only can you cure the disease, but you may also repeat it because of residual bacteria. 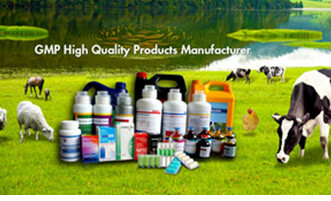 We are veterinary medicine manufacturers, welcome to contact us!